This was a picture of one of those Lego Playmobile cop characters. 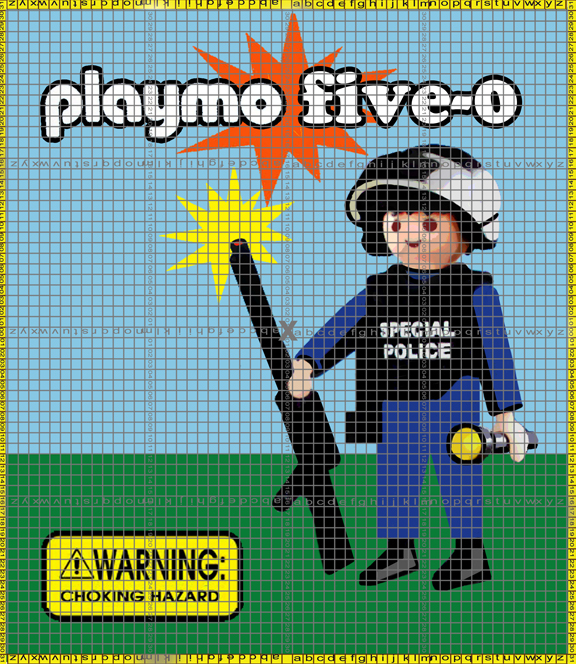 With the tag line: Playmo Five-O. The corner had a tag that said “warning choking hazard.” Playmobile just begs satire. I seriously doubt the advisability of encouraging Junior to make arrests. A two-in-one satire opportunity not to be missed. Cute and friendly, innocent and insulting, Mr. Toy Cop was the man for the job. 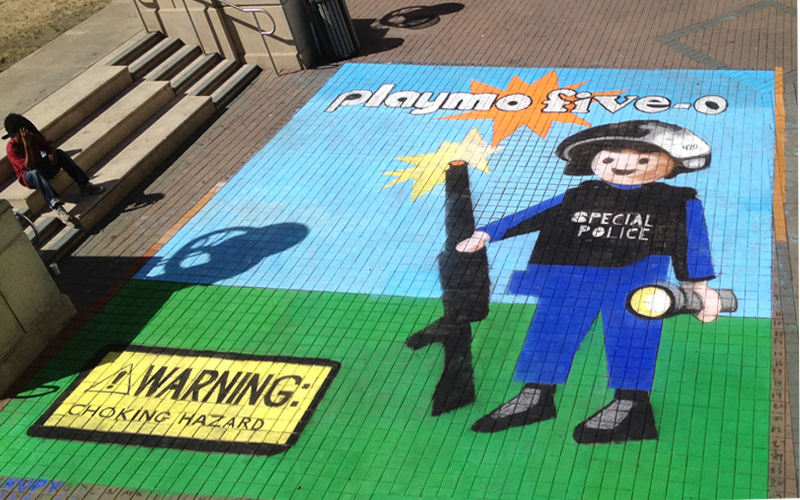 I love using Playmo guys because Lego doesn’t think their toys should be used for political art. 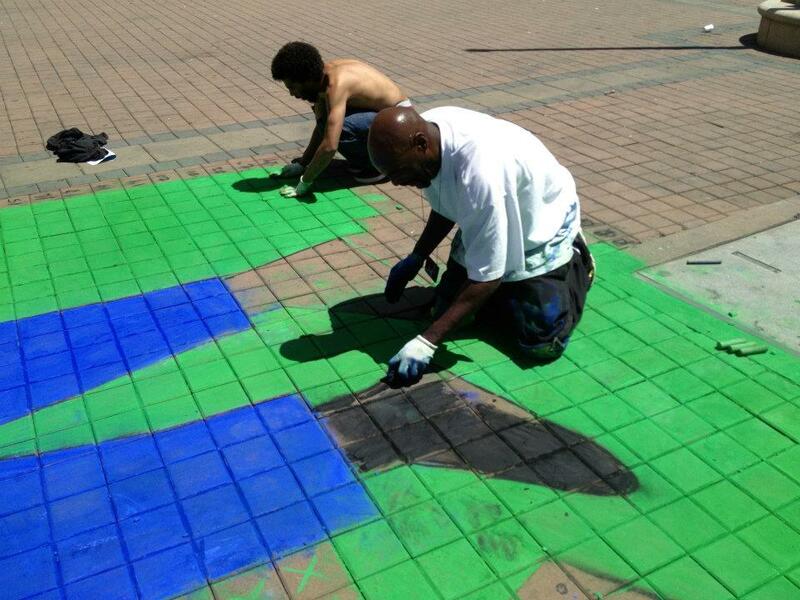 This backfired big time when they refused to sell to artist Ai Wei Wei. Warning: Choking Hazard.